The Sigma Nu house is proud to announce that freshman Tate Thomas was elected to be a senator in the University of Alabama’s SGA. Tate is a freshman from Anniston, Alabama. Tate is majoring in civil engineering and has maintained a 4.0 throughout his freshman year. This past week (March 4th-7th) was Greek Week at the University of Alabama. One of our favorite aspects of Greek Week is the famous dance off, which is where all fraternities and sororities compete in a dance off. Pictured below are the freshman that brought Sigma Nu the win: James Blackwood, Matthew Gude, Sam Parker, Tate Thomas, Whit Joseph, and John Kurzydlo. Good Job fellas, Roll Tide! It is important to Sigma Nu to help give back to the community we live in. Pictured below are some of our Sigma Nu freshman helping rebuild a house in Tuscaloosa, AL for Habitat for Humanity. Pictured are Hinton Bishop (Bottom Left), Stewart Chandler (Bottom Right), Michael Cleveland (Upper Left), and Tate Thomas (Upper Right). 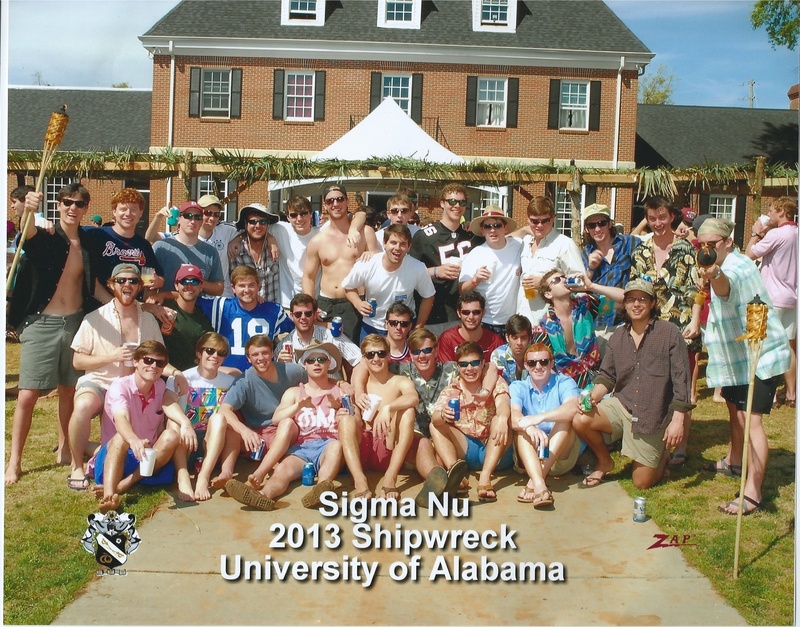 Thanks for representing Sigma Nu well guys. Roll Tide! Sigma Nu is hosting a rush event March 8th and 9th. Friday the 8th there will be a band party starting at 11 P.M in the Sigma Nu band room. Saturday there will be a crawfish boil at the Sigma Nu house starting at 2 P.M. Saturday night there will be another band party in the Sigma Nu band room starting at 11 P.M. For more information please email the rush chairs.